Gingivitis causes inflammation, redness, and bleeding in the gingival tissue and is caused by the toxins in plaque. No bone loss has occurred at this stage. People at increased risk of developing gingivitis include pregnant women, women taking birth control pills, people with uncontrolled diabetes, steroid users and people who control seizures and blood pressure using medication. Treatment: Gingivitis is easily reversible using a combination of home care and scaling and root planning to clean pockets of debris. A combination of antibiotics and medicated mouthwashes may be used to kill any remaining bacteria and promote healing. 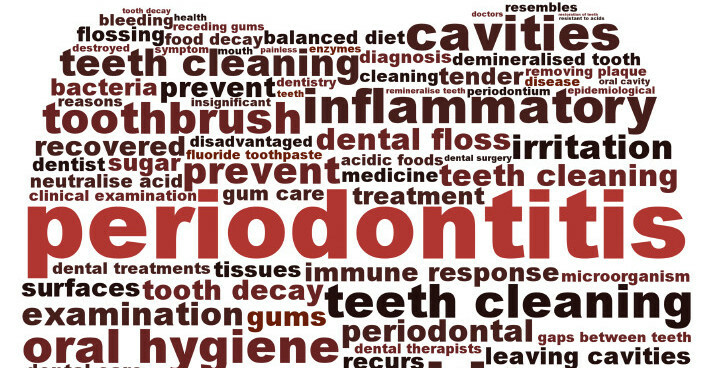 Treatment: Unlike gingivitis, chronic periodontitis is not reversible. However, the progression of the disease can be halted using non-surgical and surgical procedures including scaling and root planing, pocket reduction, and regenerative surgery. The disease itself is essentially the same as chronic periodontitis but the progression is usually much faster. Treatment: The treatments for aggressive periodontal disease are the same as those for chronic periodontal disease.